What is campaign management in marketing? It aims to help you create, monitor and measure outcomes of your marketing programs across different paid and organic channels. Campaign management is used for executing marketing strategies and developing a sales direction for optimum profits. The processes and tasks can be automated or streamlined using campaign management software, a necessary tool to keep you on top of your ever-expanding marketing channels. The frequency and quantity of marketing campaigns running everywhere—from print and tradeshow campaigns to email and ad campaigns—can make an effective management overwhelming. The need for diligent planning, a ton of knowledge and skills, timely execution, and customer insights call for a reliable campaign management software for your marketing initiatives. With that, you may be curious to know: what is campaign management in marketing? The marketing world continues to expand and widen from today’s email, social media, and print campaigns. In fact, video marketing campaigns are seen to get a boost in sales, lead generation, shares, and click-throughs according to Forbes. Facebook alone generates an average of 8 billion video views in a day. Furthermore, videos are forecasted take 80% of the global Internet traffic by 2019 according to Cisco’s Visual Networking Index: Forecast and Trends, 2017-2022. This growth of marketing initiative means an additional campaign channel to manage. Developing and creating marketing campaigns are major problems faced by marketing teams. With numerous campaigns launched daily in numerous channels, it’s easy to see why it’s a challenge for many marketing specialists. At the same time, it is also known for bringing strong results. 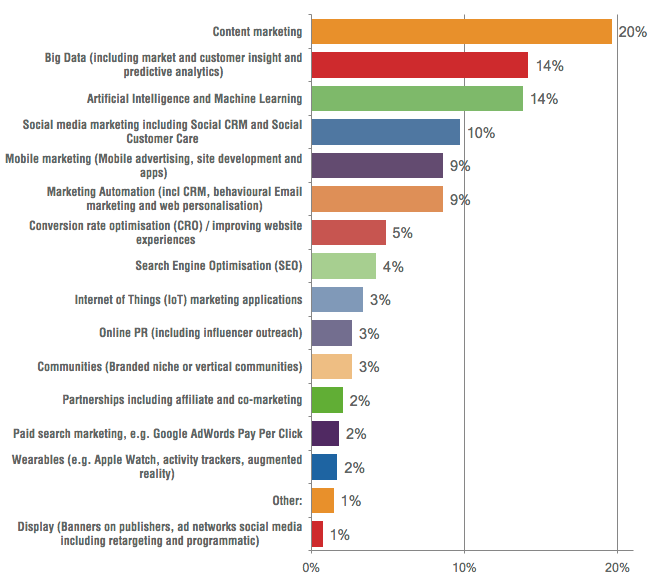 In a survey by Smart Insights, 20% of business marketers voted content marketing as the marketing activity with the largest commercial impact in 2018. That’s why gathering the right information through segmentation, automating key processes, and utilizing analytics through content management is crucial. With these statistics in mind, let’s proceed with the significance of campaign management in marketing and the software you can use to streamline this process. What is Campaign Management in Marketing? What is campaign management in marketing? Marketing campaigns are launched to engage and persuade your customers via email, social media, print materials, giveaways, and surveys to take an action or raise awareness of your brand. They usually make consumers think of a problem, and then show them your service or product as the solution they’re looking for. It goes beyond creating a campaign. Instead, it fosters the development and implementation of a complete strategic plan with a clear roadmap of your goals and the steps to achieve them. Customer segmentation is one of the most important and basic aspects of marketing campaigns, and it’s often one of the most challenging tasks as well. Without the right variables, you’re bound to target your campaigns to the wrong customers which makes your initiative ineffective. For instance, a product for upper-income consumers marketed to college students won’t sell. On top of that, there’s a wide array of variables to consider such as demographic, behavioral, and attitudinal, among others. How can the software help? The challenges of this process are streamlined to reduce and even eliminate bottlenecks. As a start, a feature such as lead scoring tracks your lead’s behavior and automatically quantifies the probability of lead conversion. This helps you understand how they respond to your communication and determine their level of interest in your product or service and be prepared with their potential queries. It also optimizes segmentation by product preferences and sales funnel stage. Through identifying and understanding your customers, your marketing campaigns will make more impact. After gathering information about your customers, the next task is the content development for your marketing campaigns. Developing content that not just educates your customers about your product or service but also about its larger context or market is not an easy feat. It won’t be effective if your campaign’s content is not relevant and valuable to your market and can’t be found by search engines. How can the software help? Many of today’s content creation for campaigns are known as inbound marketing. It’s a method that uses informative content to target your consumers and draw them to your website, social media, or other online destination. The software automates this process by centralizing and consolidating campaigns to engage your customers so your marketing specialists can focus on producing engaging content. Scheduling the right content in front of the right prospects is one of the important features of campaign management software like in this one, HubSpot Marketing. Marketing campaigns are commonly circulated among your business’ current and potential customers through email. As mentioned, segmentation is crucial to delivering your campaigns to the right audience. Depending on the complexity of your target audience’s diversity and its threshold, manually segmenting your customer list and scheduling its delivery are time-consuming, arduous, and prone to human errors. The timeliness of its segregation may also become a problem when manually sending tailored newsletters individually. A consumer who receives a product recommendation after their purchase is more likely to appreciate its content—which elevates customer engagement and loyalty—rather than when they receive it a few days later when it’s no longer relevant. How can the software help? One of the features of a campaign management solution is automated email marketing. This can come in two types. The first is referred to as trigger campaigns which are email campaigns that dispatch automatically based on a customer’s action to a pre-designed newsletter or pre-determined behavior. The second is lifecycle campaigns that follow your customer’s entire lifecycle from automated holiday and birthday greetings to emails sent due to inactivity during a specified timeframe. When you develop a marketing campaign, conversions and sales are some of the actions you want to achieve. Today, consumers come from a broad range of channels to check out and potentially purchase your product or service from your brick-and-mortar store, your website, or your social media platforms using devices like desktops, tablets, and smartphones. Having a strong presence in each channel is not enough when the service and customer experience on each platform is not consistent, connected, and cohesive. For example, a promotion offered online but not honored in-store or a product promised to be in stock on your social media but out of stock on your website’s shopping cart creates frustration to customers. This doesn’t just lose you a sale, but customer trust and loyalty as well. How can the software help? Omnichannel marketing is arguably where the software really stands out. There is no other better solution to serve customers both in-store and online in a seamless manner to establish a unified brand experience through removing a noticeable friction or disconnect. This customer-centric approach accounts for each device and platform a customer uses to interact with your company. For you, this means being able to maximize each device and platform for conversion. Statistics on your most effective content for conversion and the number of people your campaigns reach are crucial to your marketing campaign’s lifecycle. This lets you know which ones are successful and to be continued. You’ll also determine campaigns that are ineffective and move forward in improving or discontinuing them to make sure each of your marketing efforts counts. Manually recording and managing your analytics—such as using spreadsheets—are redundant, costly, and unsustainable. The marketing industry has a fast-paced and progressive environment that not automating this process will make it difficult for your business to keep up. Not having accurate information in real-time can debilitate all your other campaign management tasks and business decisions. How can the software help? Analysis and measurement are optimized by the software to give you data on evaluating your campaigns and learning more about your customers—both existing and potential ones. This information is also crucial for your marketing efforts to work hand-in-hand with sales strategies. Data such as sales and lead generation applications and customer preferences and trends may be turned into dashboards for insightful visualizations in real time. Tracking visitors’ website behavior is one of the key analytics you can get from a marketing software like bpm’online Marketing. 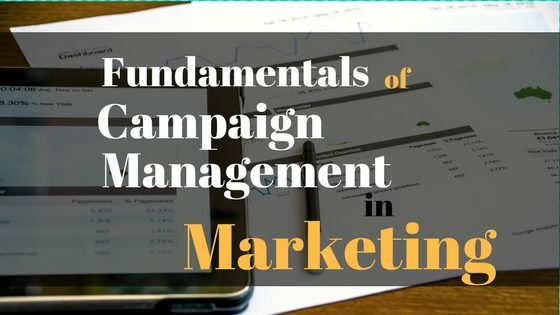 Now that we’ve answered the question: “What is campaign management in marketing?” you may be interested to know what software you should use. There’s a wide array of campaign management software solutions available to choose from. One of the leading software programs in this niche is without a doubt HubSpot Marketing. In fact, you may have already heard about it as it’s a widely popular marketing software. It focuses on addressing the fundamental processes of marketing campaign management including lead generation and inbound marketing, among others, and beyond. It’s also a native component of the HubSpot suite of CRM and Sales modules; hence, it’s a robust all-in-one, full-featured marketing solution. The combination of its CRM tools and marketing, customer, and sales hubs give any marketer and business, big and small, a holistic approach to managing marketing campaigns that grows traffic, converts leads, and increases ROI. You can easily try its features at no cost and commitment when you sign up for an HubSpot Marketing free trial here. Another example is HasOffers which is geared towards affiliate marketing. It’s different from other solutions as it’s a performance-based marketing solution. The single platform is built for users such as affiliates, influencers, and publishers for easier ad network management. Advertisers can control and monitor their affiliate and referral program cross-channel. Meanwhile, tracking client campaigns and media buys is optimized for real-time monitoring. bpm’online marketing is a marketing software that’s more process-driven in its campaign management. This marketing automation software excels at optimizing various marketing-related tasks and workflows including lead and demand generation, qualification, distribution, and hand-off to sales. It also streamlines communication with personalized messages and mass mail responses that any marketing specialist can use to leverage their campaigns. For a solution with a focal point on email marketing, iContact Pro is an excellent choice. It elevates basic emails into a personalized experience for customers while ensuring your emails are delivered to your customer’s inbox. Its advanced marketing tools streamline the management of email campaigns, segmentation, lead generation and lead scoring operations for small business and large-scale senders. Wishpond is a marketing software catered for marketing specialists to create marketing funnels through email marketing, landing pages, contests, promotions, and popups, among others. It has an all-in-one suite that enables you to create marketing campaigns, email marketing, and lead generation on your own or let Wishpond’s team do it for you. The software’s modern approach is effective in generating and engaging fans. Whichit is a SaaS-based social engagement and marketing solution that provides publishers and advertisers with a smart, fun, and engaging way to gather precious and actionable data from their audience using image-based surveys, quizzes, trivia, and polls among others. The data is then used to help users to effortlessly segment their audience and create and execute effective advertisements, marketing campaigns, and promotions to name a few. Built for retailers, CASA is designed to boost one’s profits by improving customer retention and accelerating customer acquisition. Being a retail marketing and customer engagement platform, it allows users to engage with customers and accelerate acquisition on multiple communication channels. It boasts powerful analytics as well to provide you with a holistic understanding of customer trends and behaviors. AdCheck is a URL verification tool designed to help businesses monitor and ensure that their advertising campaigns are functional and effective. The software allows you to automatically check if your links are working as intended by testing it using emulated virtual devices, which allows it to properly check for the consistency of your campaigns. If it detects any issues with your links, you will be immediately informed through system generated notifications. All link tests are recorded in the system so you can easily review and share your data.